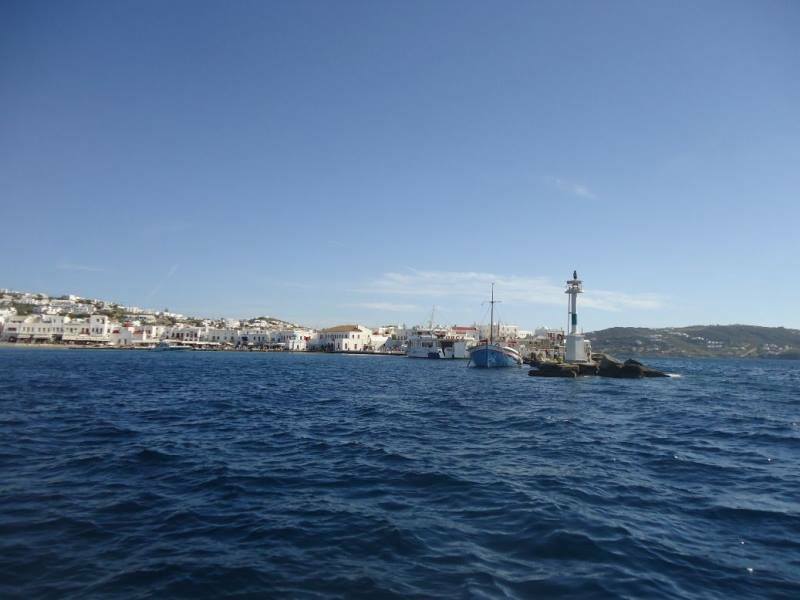 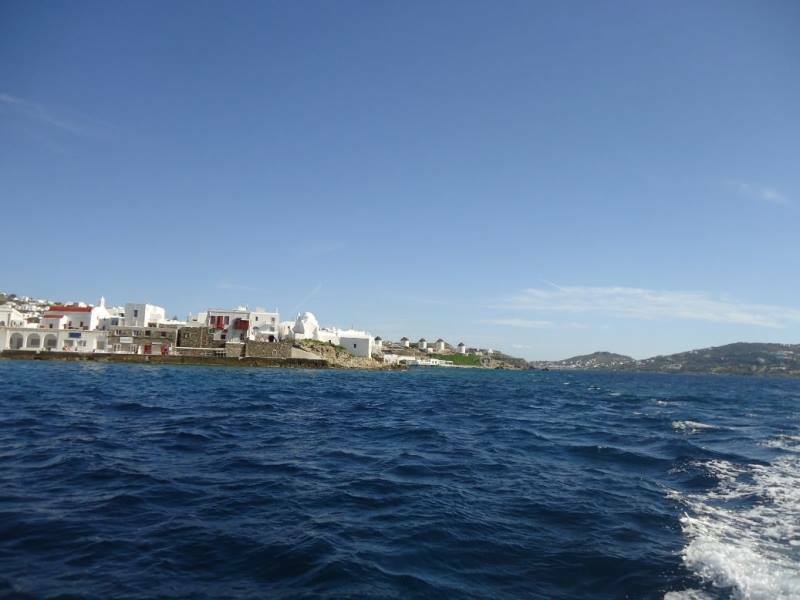 Our cruise boat leaves Mykonos, and arrives approx. 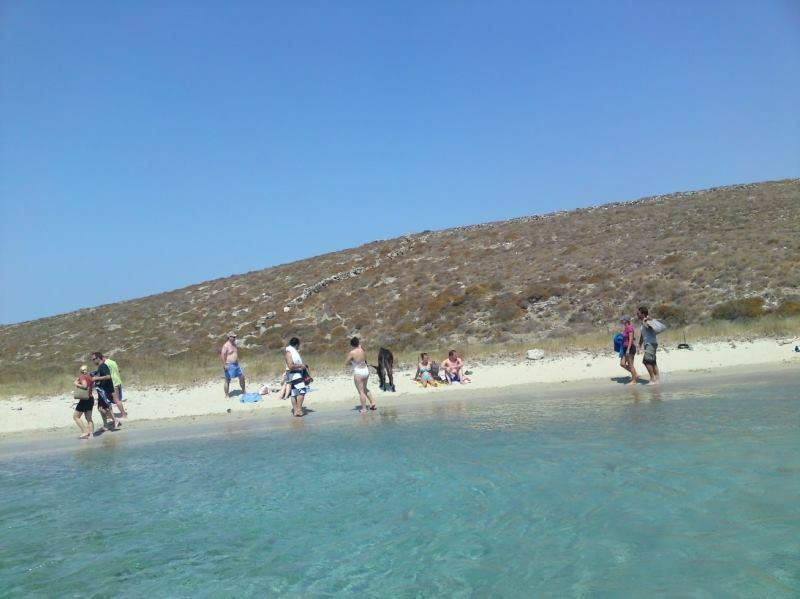 40min. 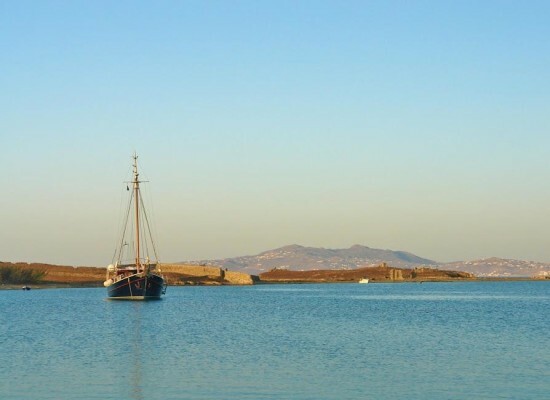 later at the ancient site of Delos island. 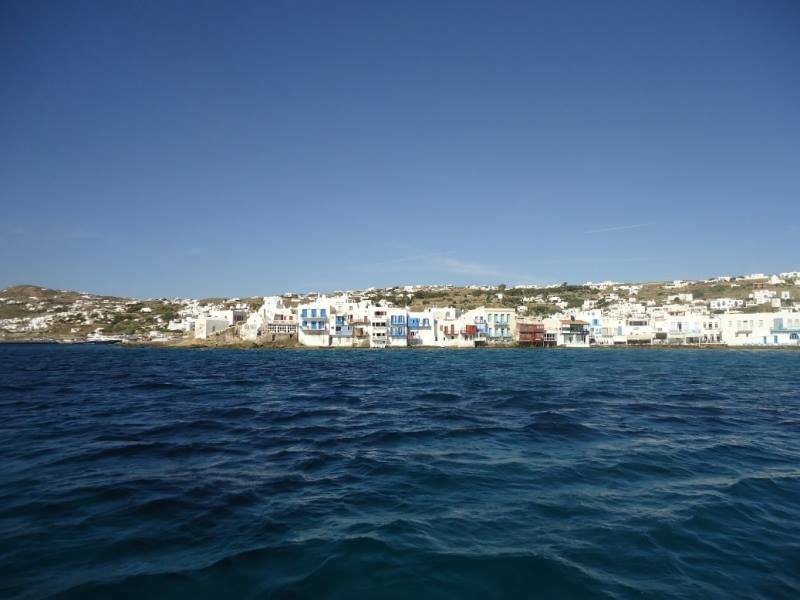 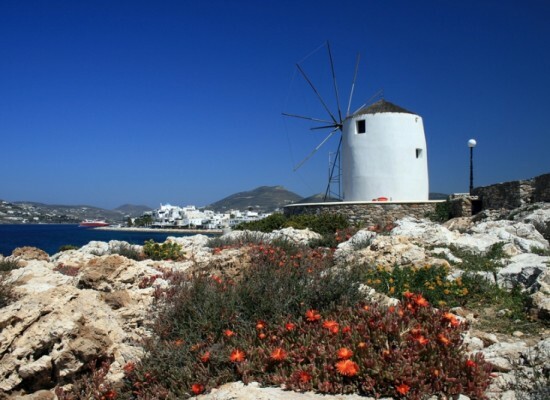 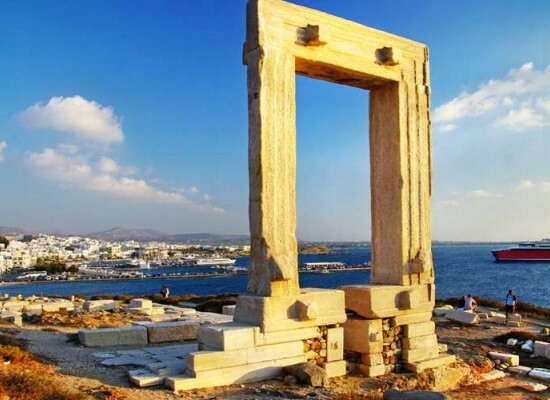 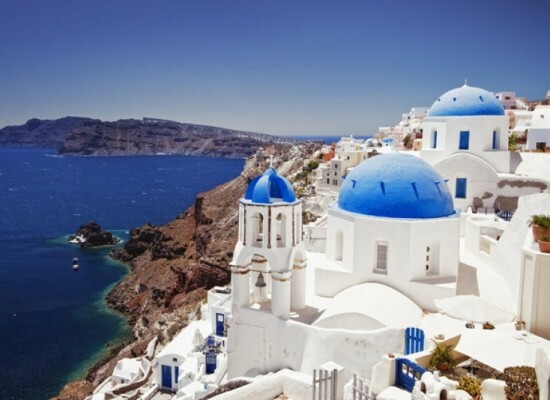 The guests that will like to visit this wonderful and UNESCO world heritage landmark they can visit the island by themselves (the entrance fee not included) and will be transferred to its harbor and will be given two hours to explore the ancient site. 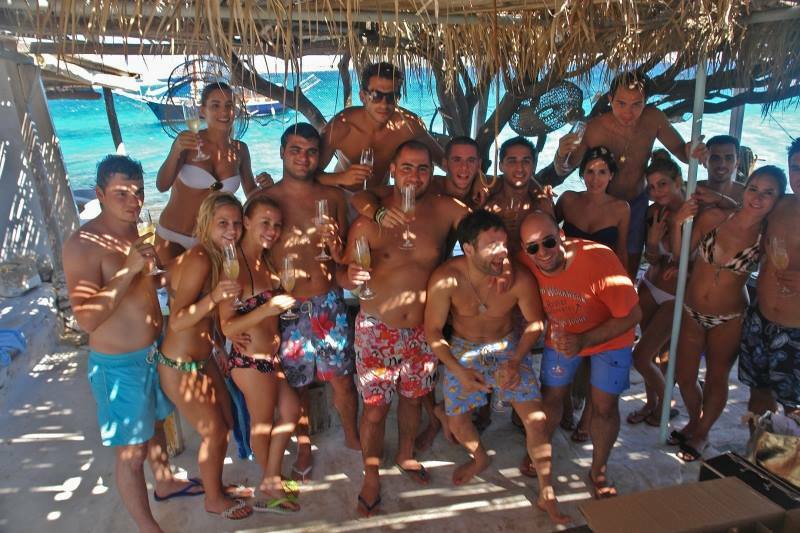 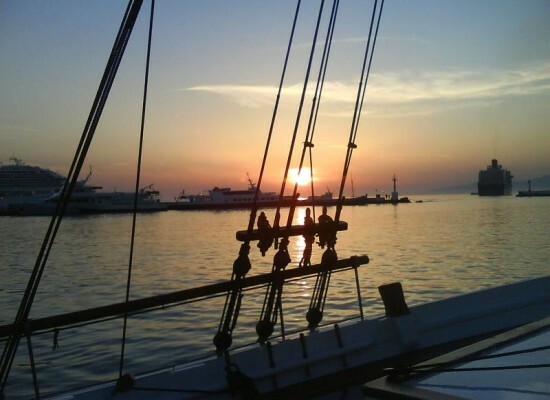 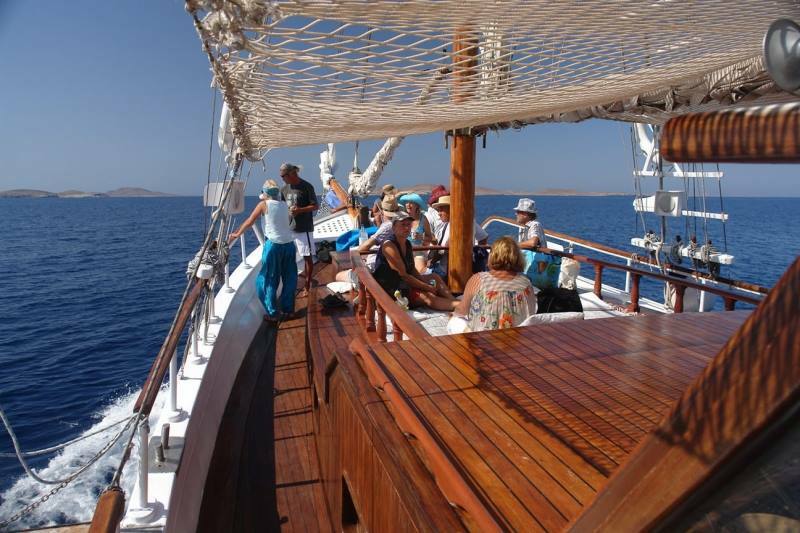 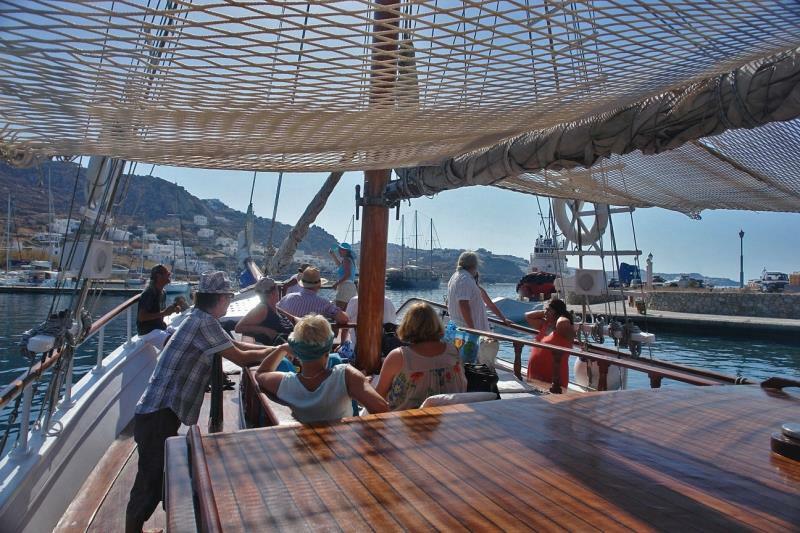 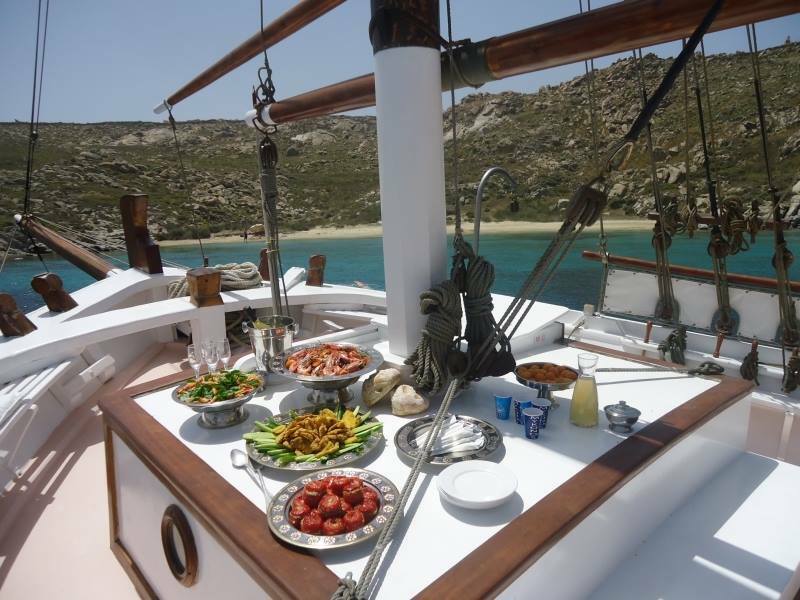 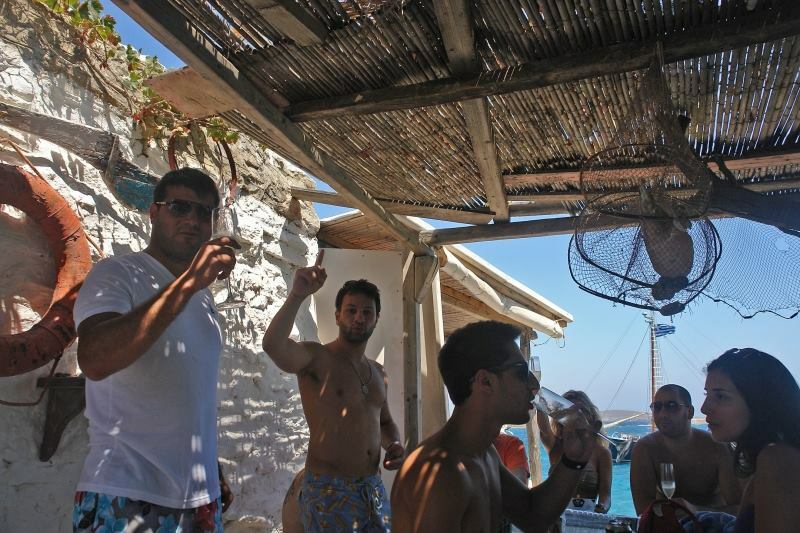 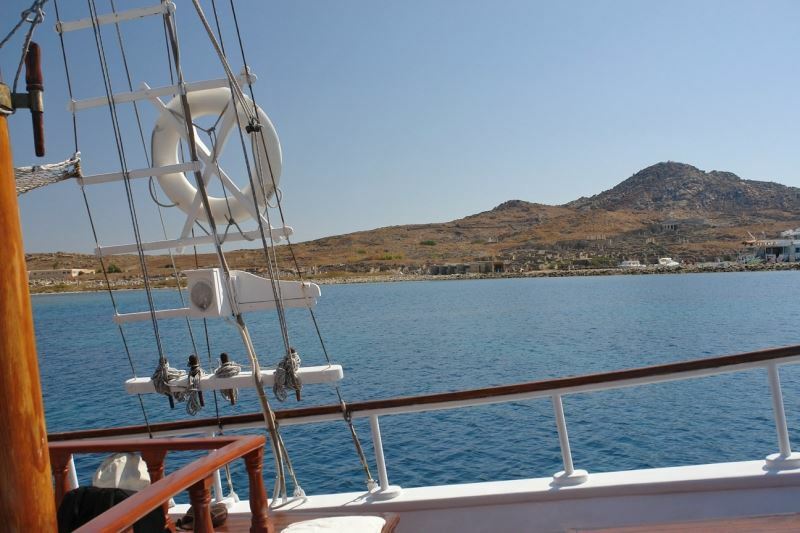 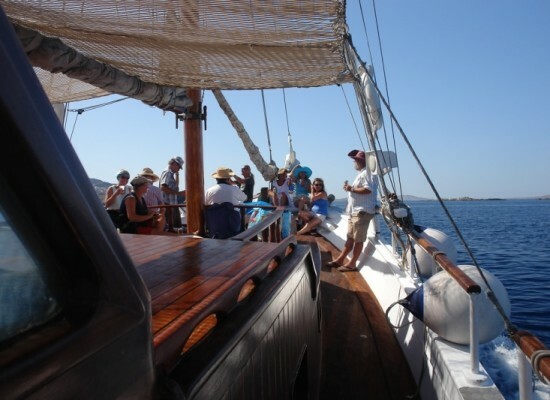 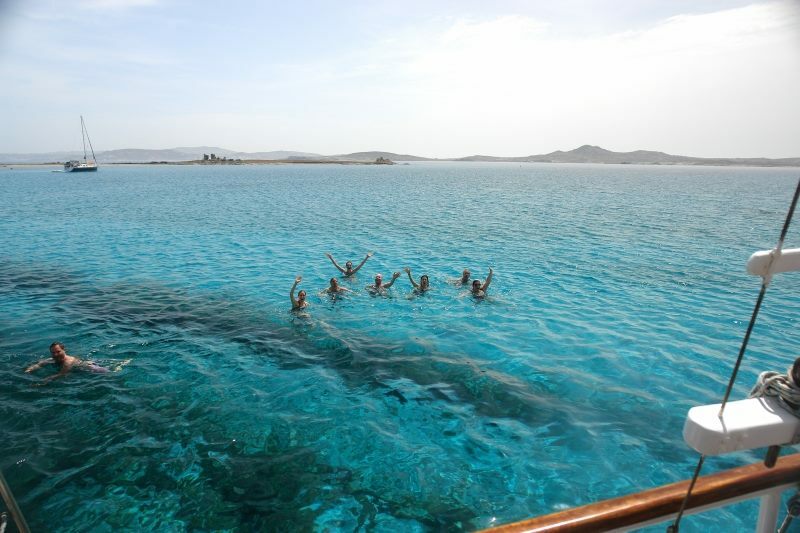 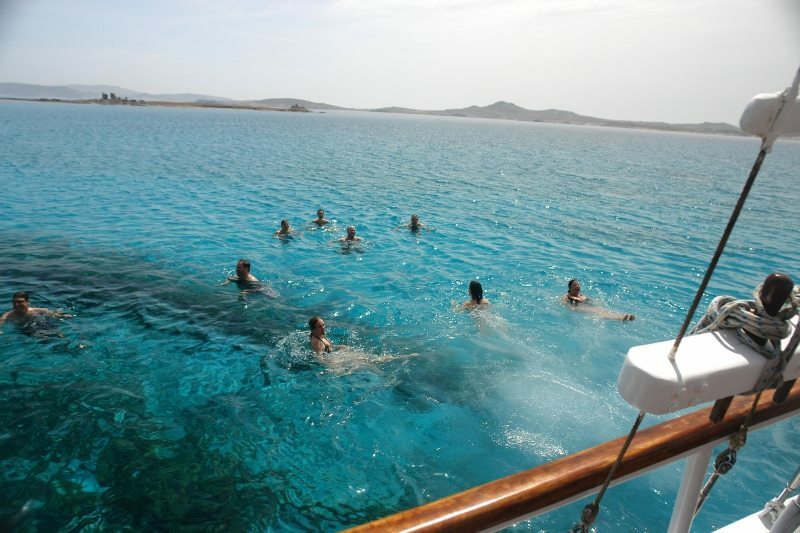 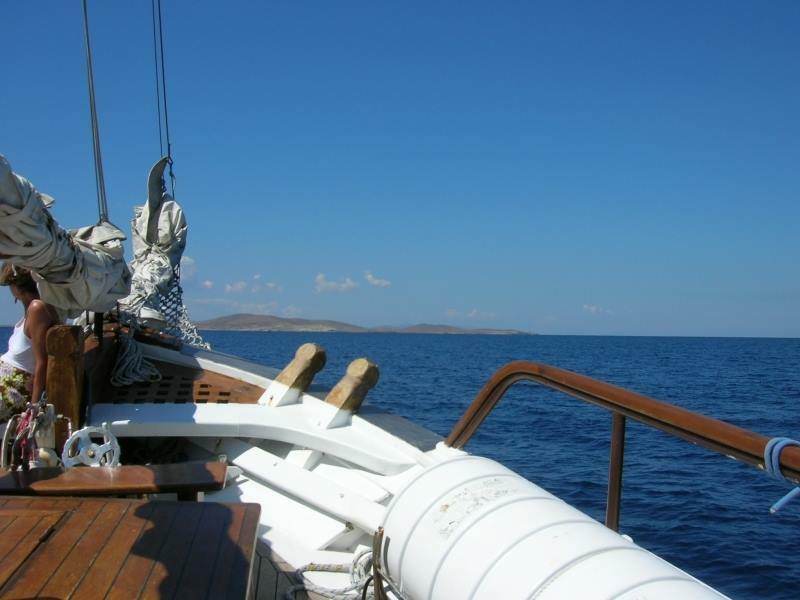 Τhe other guests may stay on board watching the site from the deck, relax, sunbath or enjoy a drink. 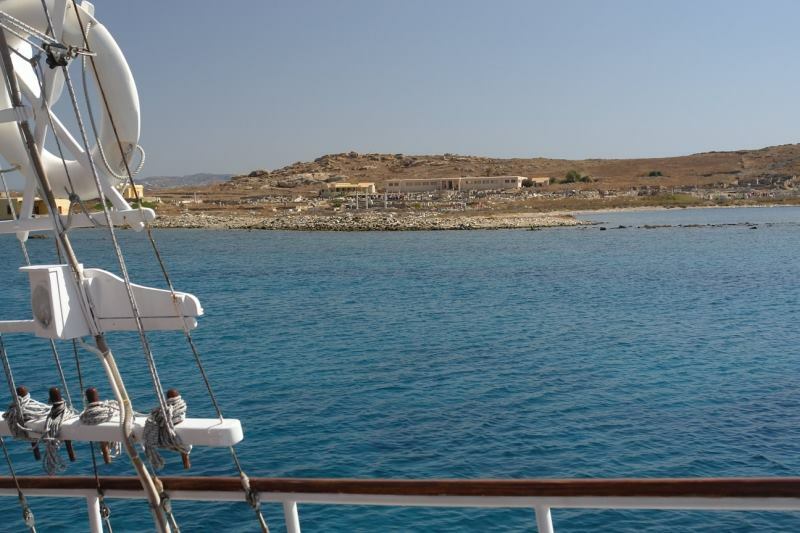 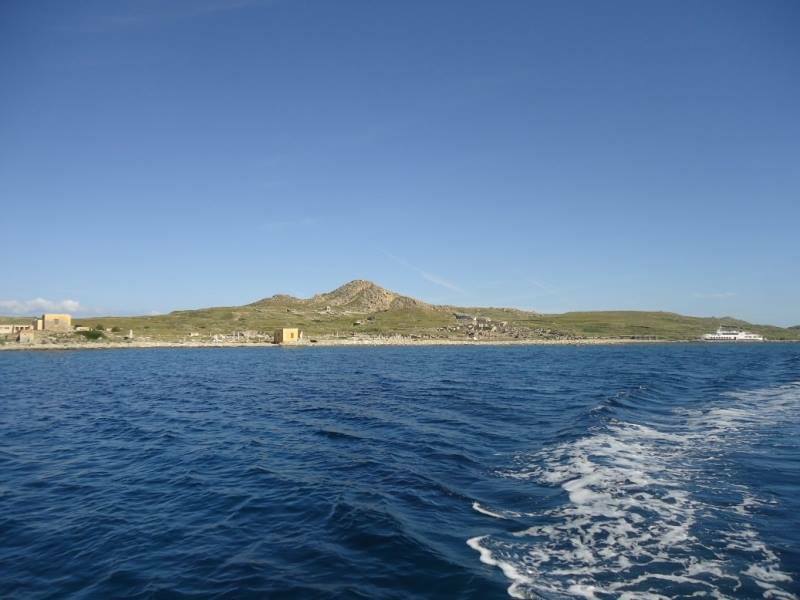 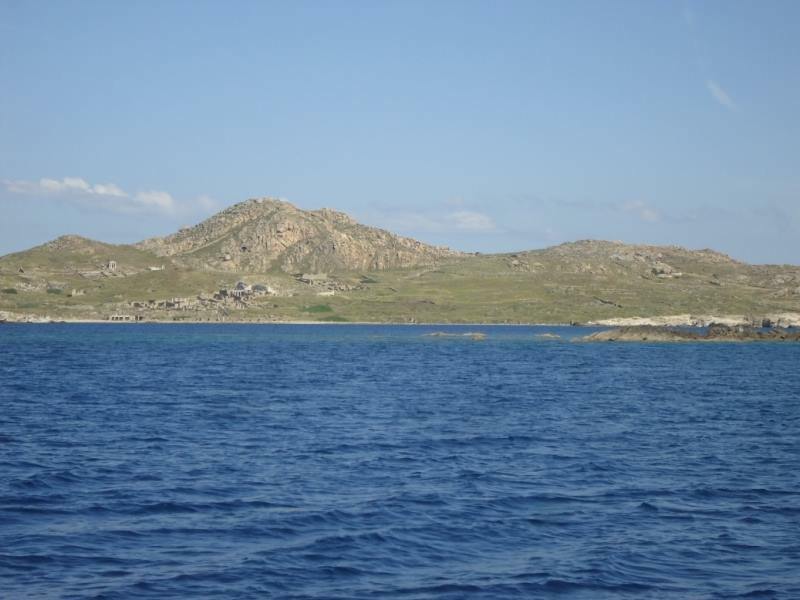 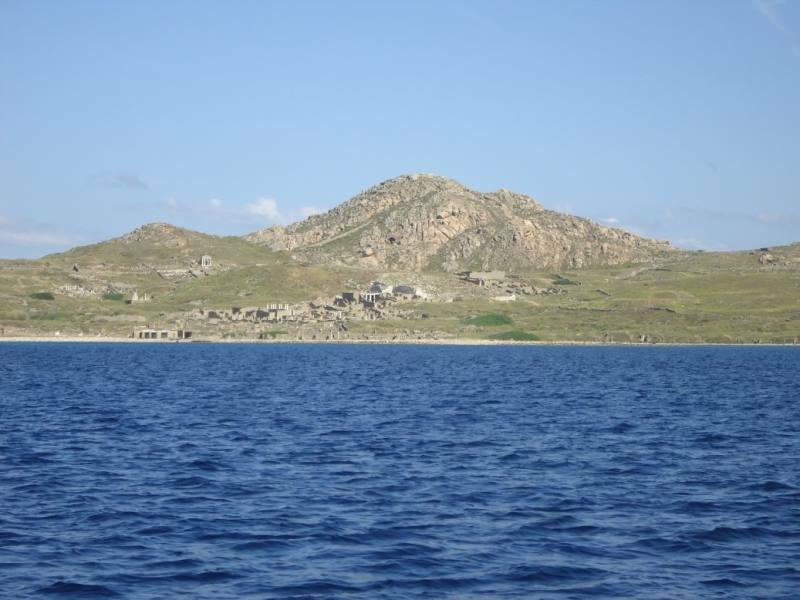 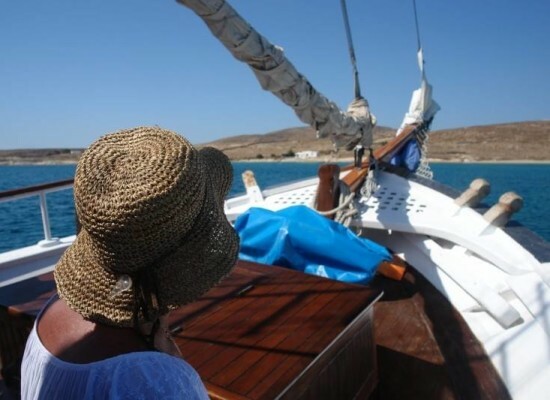 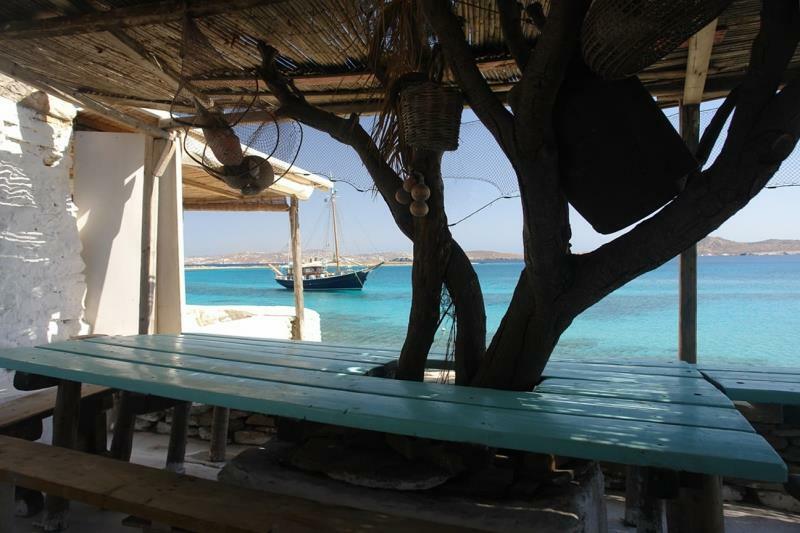 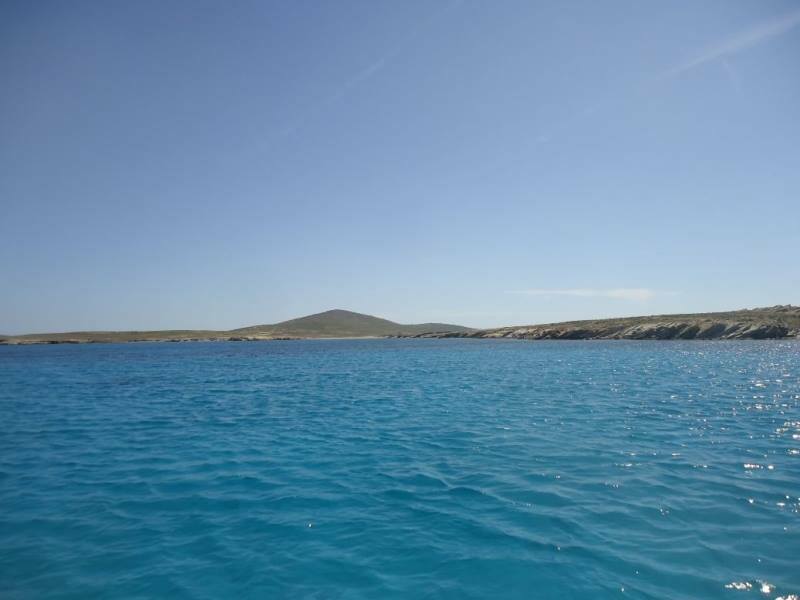 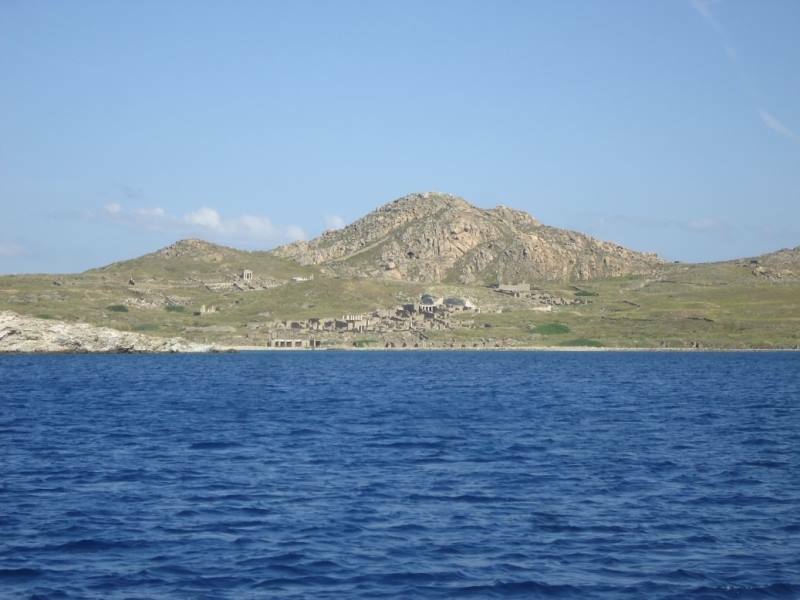 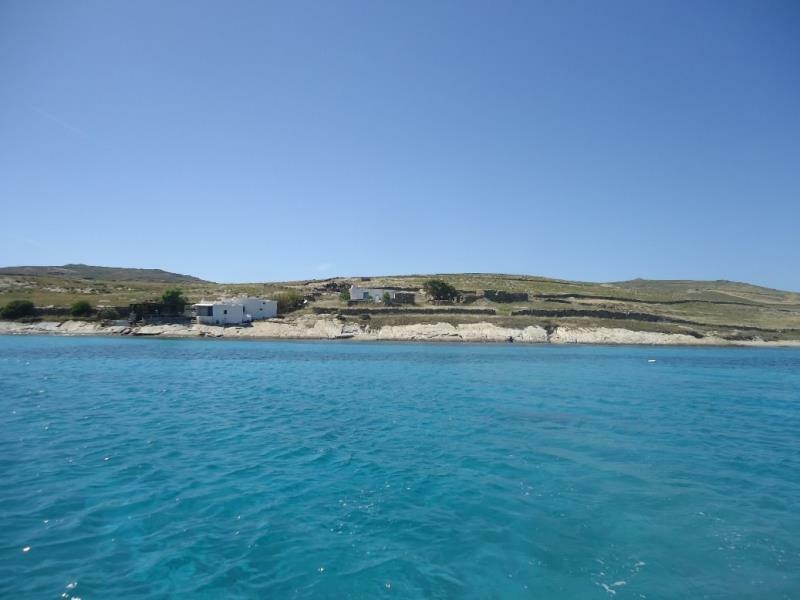 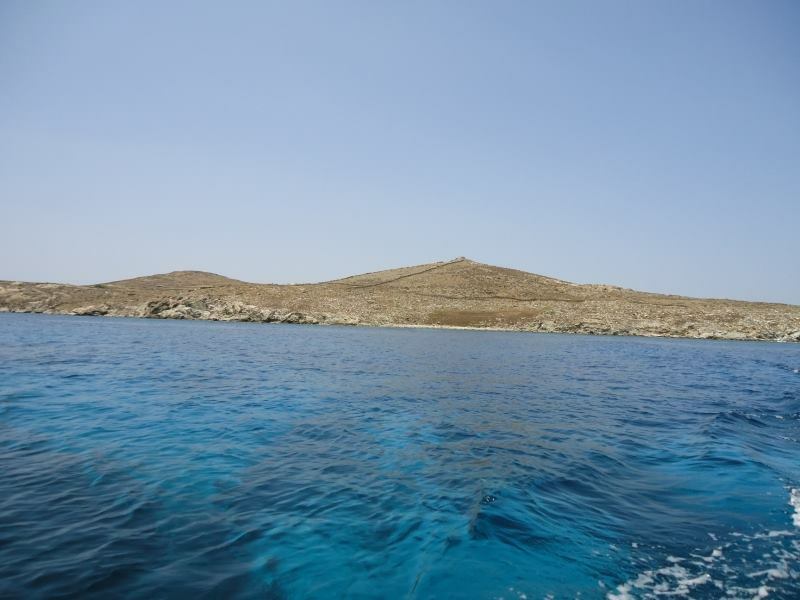 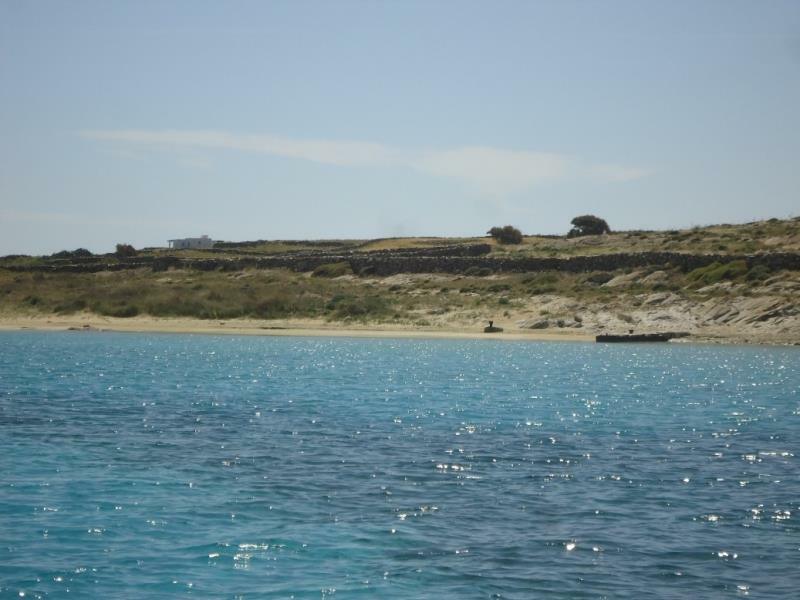 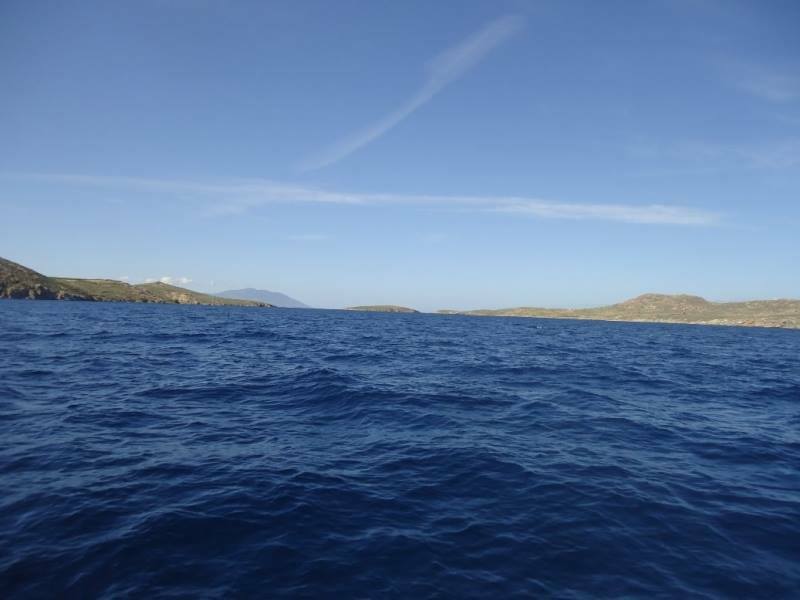 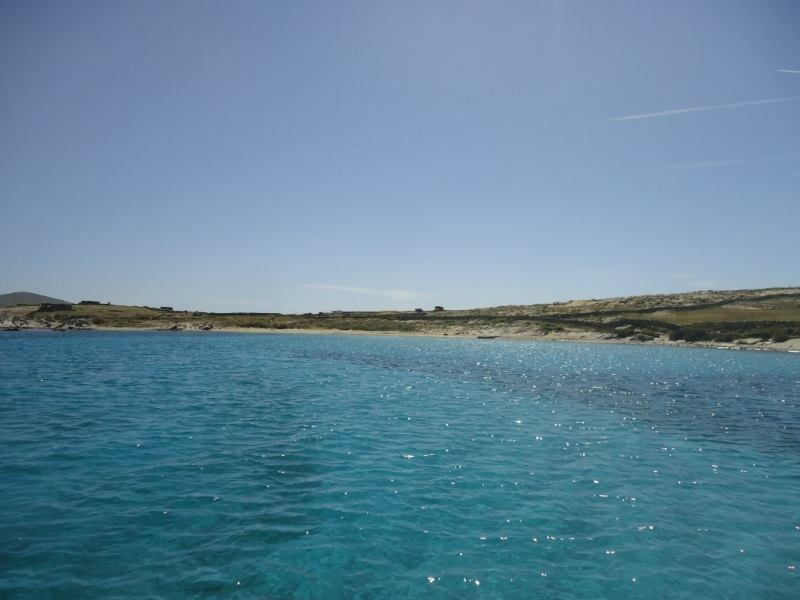 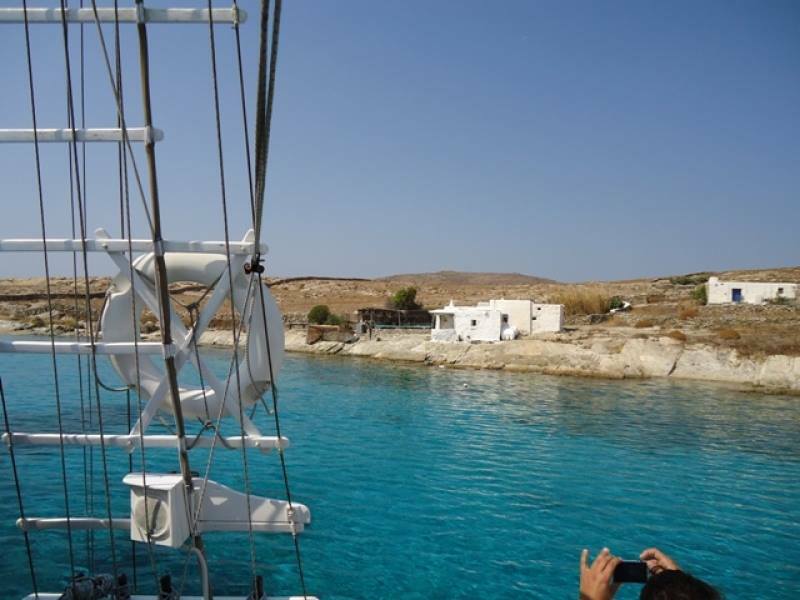 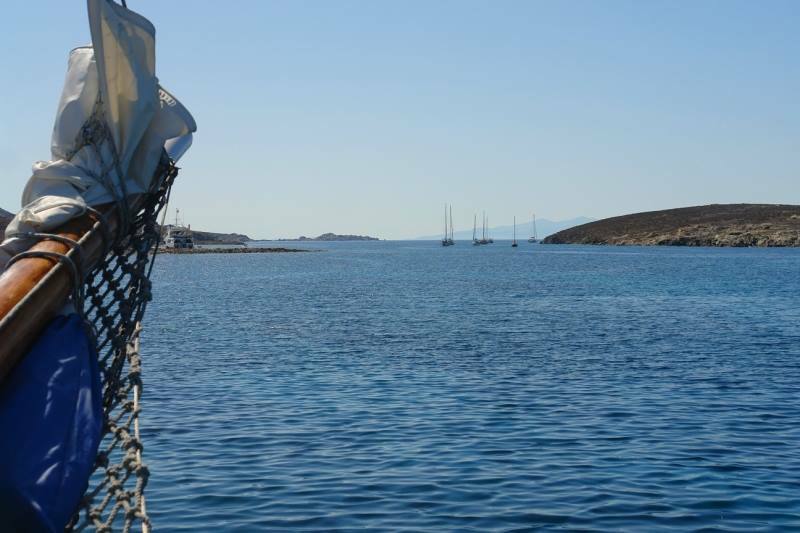 Afterwards we proceed towards the uninhabited island of Rhenia, separated from Delos island by a small strait, and dock by a deserted beach where the guests have time to take a swim in the crystal clear waters, sunbath on the fine sandy beach or stroll around the place. 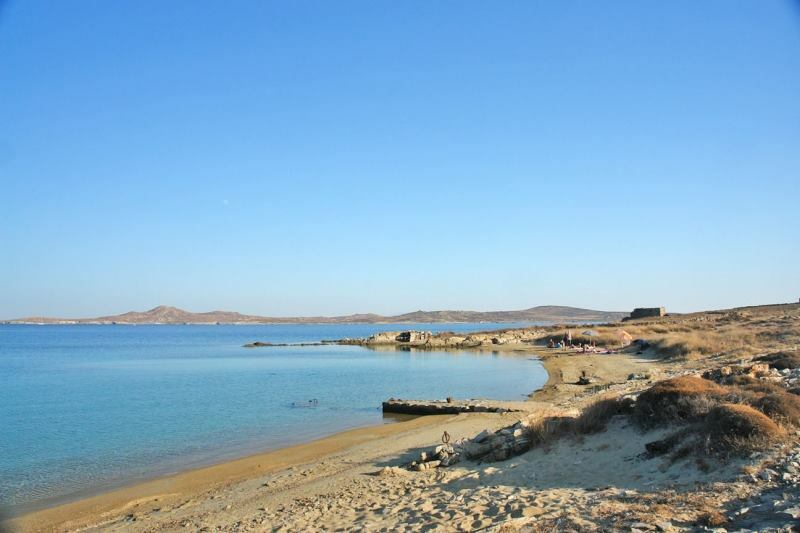 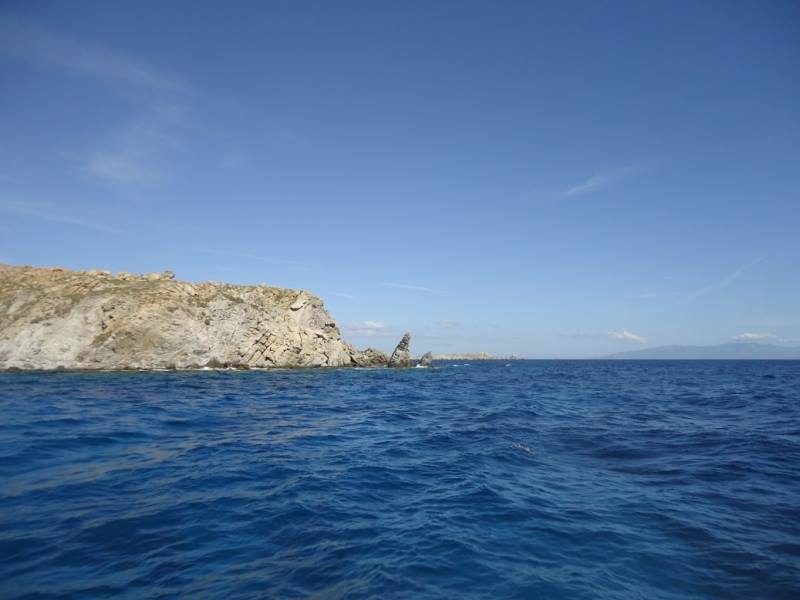 On the island one can find four solitary, sandy beaches named Glyfada, Stena, Lia and Ambelia, which are protected by two coves. 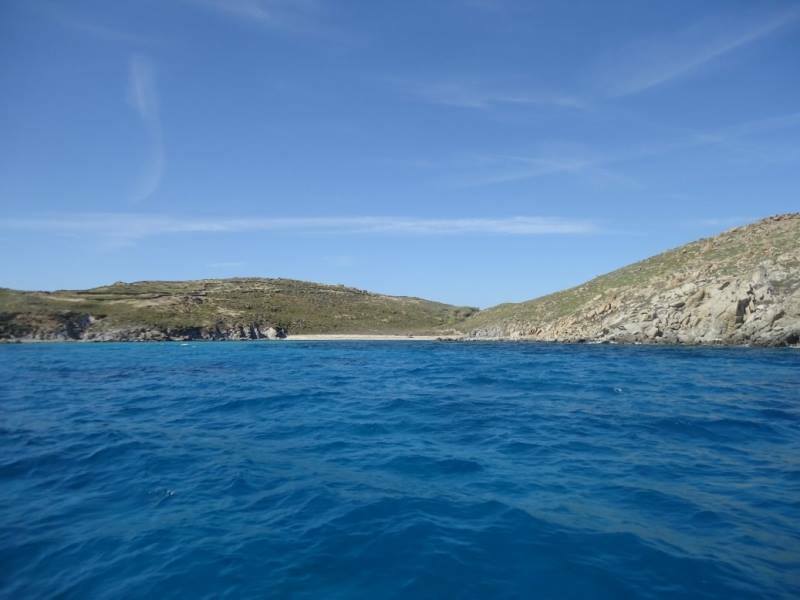 The sea has a very beautiful blue/green colour that changes as you approach the shore. 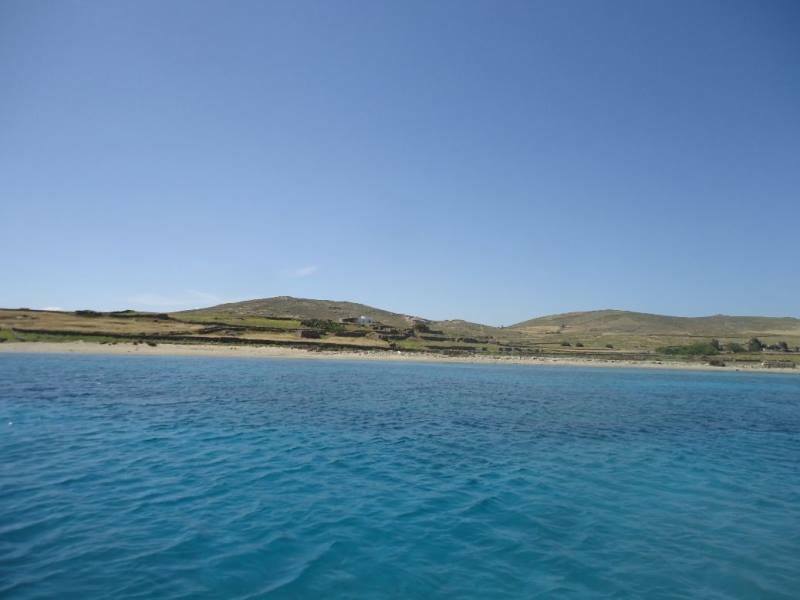 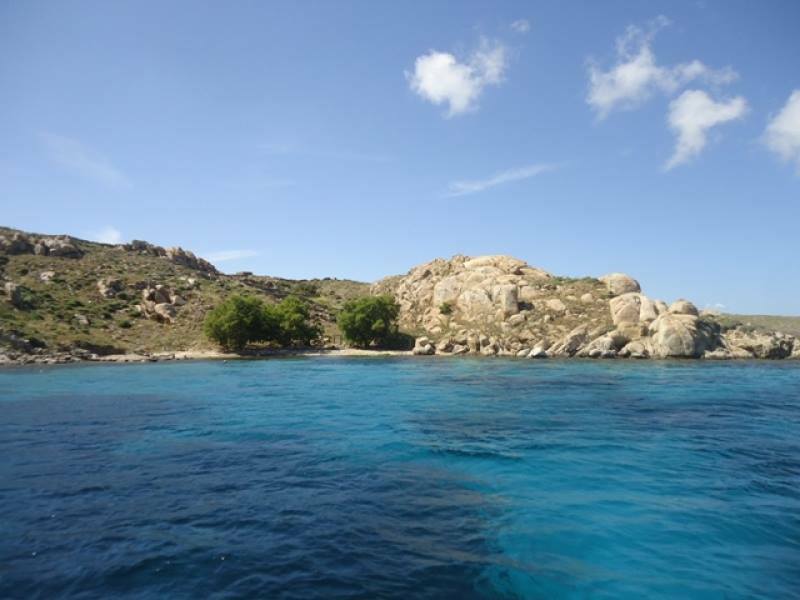 Sandy coves, clear crystal waters and uncrowded beaches are a Rhenia island specialty.